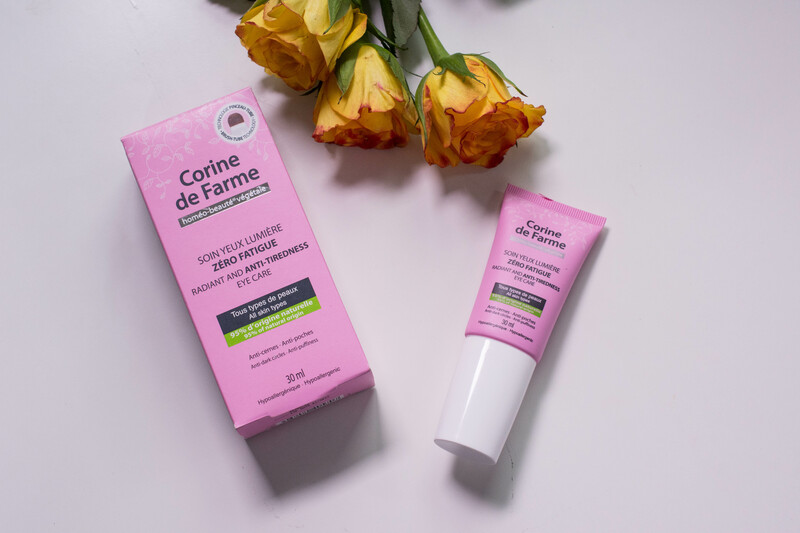 “A century ago, Corine de Farme explored the healing properties of certain plant ingredients with special properties found to be beneficial for the skin. The work of this insightful young woman inspired, Paul Duprez, a great passionate of nature. In turn, he collaborated with a homeopathic pharmacist in his small laboratory to develop a natural cosmetic brand named for Corine de Farme. The result of their work produced highly natural formulas for the care of baby’s delicate, sensitive skin. The brand isn’t all natural or organic, but 95% of the used ingredients in this cream are from natural origin. Brighten your eyes with Corine de Farme’s Radiant Anti-Tiredness Eye Care, designed specifically for the eye area. Helps eliminate signs of tiredness, reduces dark circles and eliminates puffiness. Light complex consisting of patented extracts from lychee, white tea seed oil and cranberry red camellia oil helps reduce wrinkles and brightens. 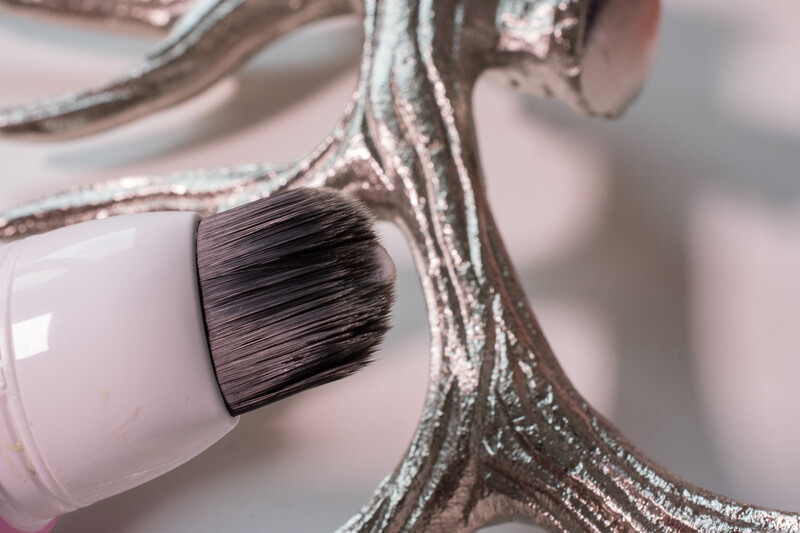 Comes in a special Brush Tube which makes application of product around eyes extremely easy. The eye cream comes in a squeeze tube with a brush applicator on one end as well as a “On/Off” system to prevent product from spilling every time you pick up the tube. Quite unique. It contains 30 ml and retails for around 12,99 €. It isn’t available in Germany though and I haven’t really found an online shopping option, but Boots seem to stock at least a few of their items. The cream is lightweight, feels slightly cool when applied and smells floral, but not strongly. To be honest, I hated the brush applicator. It felt weird, I didn’t feel it distributed the product evenly and every time I switched from “On” to “Off” I actually spilled some product. Plus you are recommended to wash the brush with soap after every application, which I understand from a hygienically point of view, but which is an extra step I don’t really want to do in the mornings. As far as effects go, it was a nice, lightweight eye cream that sat well under makeup, but I didn’t notice any major brightening or depuffing effect. It is a nice, lightweight eye cream that can be worn under makeup and sinks in easily, but I don’t feel it did very much in the anti-tiredness department, even though it has some nice ingredients that could work on this problem. And the brush made application by no means easier! Newborn or not, I don’t think that this eye cream is rich enough to satisfy my needs. The one major bonus point is the added Niacinamide, a great all-round ingredient when it comes to skincare, but again, I need more. If you are still young, but want to start taking care of your eye area (which I highly recommend), this is a lovely, lightweight cream. If you have moderate dark circles, but not much other concern, this might work great for you. If mostly organic/natural ingredients are your focus and you are looking for a daytime eye cream, this is a great option. But if you are running on way too little sleep, I´d suggest you look somewhere else. What was the craziest thing you ever did for a blog post? And have you heard of this brand before?